HGST delivers the world’s fastest hard disk drive in the Ultrastar C15K600, a 15K RPM, 2.5-inch small form factor hard drive ideally suited for mission-critical data center and high performance computing environments. At 600GB, Ultrastar C15K600 provides double the capacity of current generation 2.5-inch 15K drives, and matches the highest capacity point of 3.5-inch 15K drives. 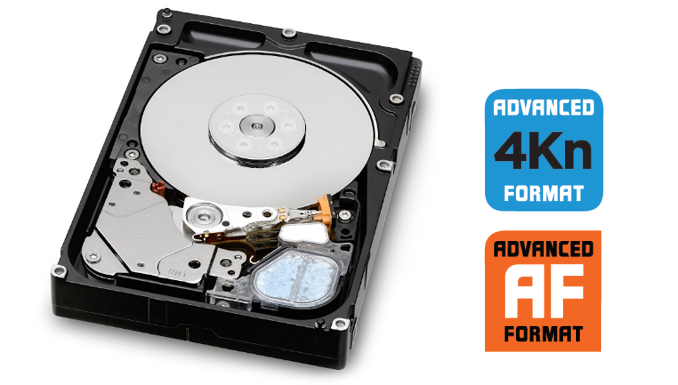 This latest addition to the Ultrastar small form factor (SFF) family outperforms not only the competition but also legacy 3.5-inch 15K drives from HGST, achieving 38% faster sequential and 2.5X faster random write performance for faster data processing, while consuming half as much active and idle power. Best-in-class performance is achieved through several innovations, including media caching technology that provides a large caching mechanism for incoming data resulting in significantly enhanced write performance over solutions with limited NAND or flash-based non-volatile cache (NVC). The C15K600 is HGST’s first hard drive to leverage an industry-leading 12Gb/s Serial-Attached SCSI (SAS) interface enabling very high transfer rates between host and drive, supporting the performance and reliability required in the most demanding enterprise computing environments like online transaction processing (OLTP), big data analytics, multi-user applications and data warehousing. The compact size and power management innovations designed into the Ultrastar C15K600 enable high levels of power efficiency and translate into reduced power requirements and lower cooling costs, an ideal choice for enterprise data centers faced with space and power limitations. Compared to legacy 3.5-inch 15K drives, Ultrastar C15K600 consumes 70% less space yet provides up to 55% lower active power and 54% lower idle power requirements. HGST Advanced Power Management technology, with multi-state idle modes, uses industryrecognized standards for power optimization and can be pre-programmed or manually initiated in the system. 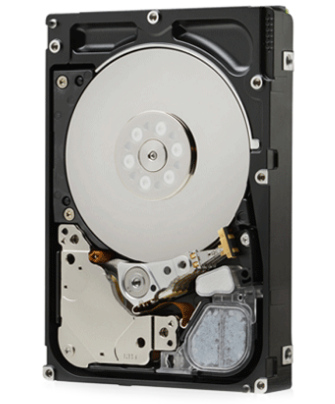 The Ultrastar C15K600 offers the broadest range of security options and encryption options available from HGST, including Instant Secure Erase (ISE), Trusted Computing Group (TCG) enterprise SSC-compliant Self-Encrypting Drives (SED), and TCG enterprise SED with FIPS (Federal Information Processing Standard) 140-2 certification, Level 2, which provides data-at-rest and tamper evidence protection for the most stringent regulatory data security compliance requirements. Ultrastar C15K600 extends the company’s longstanding tradition of reliability leadership with a 2M hour MTBF rating, an annualized failure rate (AFR) of 0.44% and a 5-year limited warranty. HGST’s Ultrastar C15K600 extends the company’s long-standing tradition of performance and reliability leadership. A balanced combination of new and proven technologies enables high reliability and availability to customer data. HGST drives are backed by an array of technical support and services, which may include customer and integration assistance. HGST is dedicated to providing a breadth of hard disk drive solutions to satisfy all of today’s demanding computing needs.